Oh well. Not having much excess cash at my disposal certainly heightens the thrill of the hunt! I know I can't be the only succ-er out there who keeps a mental wish list of the plants I'd love to acquire. I thought I'd share a few with my fellow succ-ers. First up: aeonium tabuliforme (left). These wonderful aeoniums usually grow flat against the ground, like lily pads. I love the texture. They occur in crested form, too. 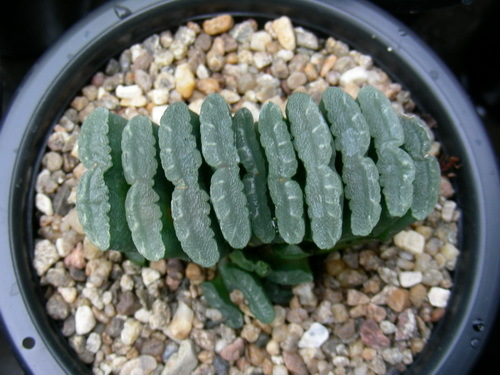 I have a particular affinity for haworthia, though I only own a few. I am particularly taken with haworthia truncata (right), and would love to add one to my collection. Supposedly there's no common name for these, but I think they should be called "green book stacks." Don't they look like a stack of tomes with the spines facing you? The bigger they get, the more they look like a mountain of books! I have a beautiful agave blue glow, and would love to add its sister plant, the agave blue flame. These guys are absolutely stunning. At left is a picture I look at the Succulent Extravaganza at Succulent Gardens in Castroville, CA last month. They had a whole row of these, planted above a huge bed of blue glows. The effect was awesome. Blue flames look like living sculptures, and the color is intense! Lastly (for now!) 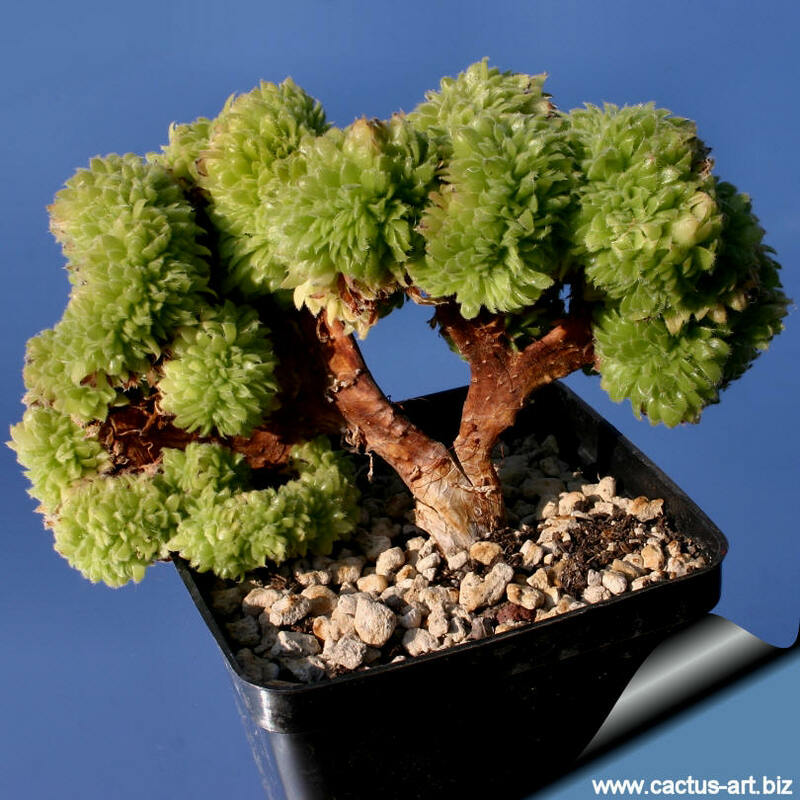 is a funky, whitish crassula known as "crassula deceptor." I haven't spotted it in any Bay Area nurseries yet, but I have a feeling that if it's introduced, it's going to catch on big. If anyone knows what the "deceptor" refers to, let me know--I'm curious. So those are just a few of the plants at the top of my list. As you can guess, there are plenty of others (and don't even get me started on crested and variegated forms--drool!) Now I want to know what plants are at the top of yours. Come on, succ-ers--let's hear it!